The brutal Summer months have finally given way to cool, crisp Fall mornings. You know what that means…brewing season has officially begun! That’s why we’re unleashing a new round of homebrew cultures for your brewing pleasure, as well as some fun new products in time for the holiday shopping season. Our next internet Pre-Sale begins Monday, November 12 at Noon CT and runs through Sunday, November 18. All orders will then ship the week of December 3. Get fitted like a yeast wrangler! Swoop up this super durable, gray & black mesh hat featuring a stitched Bootleg logo on the front. And for a limited time at a discounted price of $19.99. 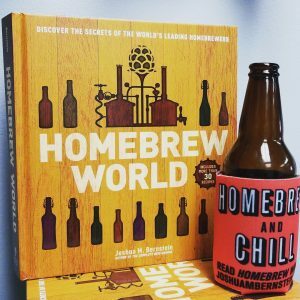 This one-of-a-kind print of Homebrew World is signed by author Joshua M. Bernstein and includes a BONUS “Homebrew & Chill” beer koozie. 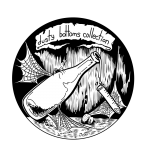 Featuring a spotlight on Bootleg Biology and yours truly, Homebrew World goes behind the scenes with more than 30 cutting-edge brewers across the globe to see how the magic happens. Josh signed a small number of books when he spoke at our Lab in Nashville during the 2018 Craft Brewers Conference. So once they’re gone, they’re gone! If you missed out on attending this year’s Homebrew Con 2018 in Portland, don’t stress! Now AHA members can watch video of “Sour Power! A Pro Brewer Spontaneous Fermentation Roundtable“. I had the honor of a lifetime moderating the panel of super talented brewers from Jester King Brewery, Black Project Spontaneous & Wild Ales, De Garde Brewing & Logsdon Farmhouse Ales. 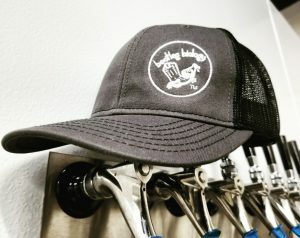 There’s a ton of good nuggets of information to help improve your spontaneous brews. Check it out!